I was talking to a friend the other night who mentioned that she felt guilty all the time. I know from discussions with my friend that guilt is a big part of her life. Guilt used to be a big part of my life as well but thankfully I have worked through some issues and have eliminated a big chunk of guilt from my life. For a long time, I felt guilty for being born. As an adopted child, I saw my birth as something that ruined a woman’s life (my biological mother) as well as later complicating my Mum’s life as she stayed in an awful marriage for the sake of the children. I was full of guilt for many, many years until I got older and started looking at things differently. Now that guilt isn’t a constant in my life, I know that if I do feel guilty, it means my mind is trying to tell me something and that I need to pay attention. It’s a sign that something is off balance in my life and I need to pay attention and take action. 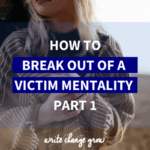 When you see guilt as an awareness trigger, it’s not such a negative thing, in fact, it can be a positive driver if you take the appropriate action. 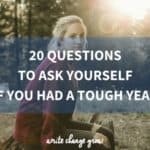 Here are my top 10 thoughts on how to stop feeling guilty all the time. Important note – I am not a medical professional, therapist or physiologist so if you are struggling with depression, anxiety or suspect you may be suffering from a mental illness, please seek help from a medical professional. If guilt is eating you up, it’s time to get honest about what do you feel guilty for? 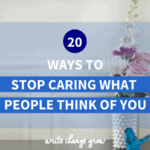 This list isn’t just in your head (it will turn into the negative loop from hell up there) you need to write it down. Make up a list of what you feel guilty for. If we are going to deal with your guilt than you need to understand exactly what you are dealing with. It’s like when you walk around thinking ‘I’m so stressed’ to yourself over and over again. Both the generalization and repetition make you feel more anxious. Having a blanket statement like ‘I feel so guilty’ hanging over your head, doesn’t help you work out what the actual problems are. You need to be specific about what guilt you are feeling. I’m an emotional person. I generally look at everything from an emotional values-based lens. But there is an improvement I’ve been working hard on over the years that has really helped me. I am making myself think more logically. I am training myself to look at situations from a more logical point of view. I look for more facts and logic and then weigh them up with my feelings, instead of letting my feelings completely run the show. Logic might help when dealing with strong emotions, particularly something like guilt. Have another look at your list. 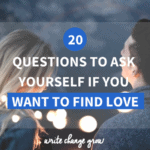 It’s time to ask yourself some questions. Is there a legitimate reason for you to feel guilty or is it your go-to emotion (i.e. has feeling guilty become a habit?) when you are feeling stressed or anxious? (Or at any time for that matter). Is the guilt really yours to carry or are you feeling responsible for someone else? One of the great things I got out of the How to Break the Habit of Self-Doubt and Build Real Confidence course is that we can be in control of our thoughts. The physical feelings that happen in your body often happen automatically and you don’t have a lot of control over those BUT you do have a lot of control over what comes next. You have control over your actions and thoughts which is really powerful. 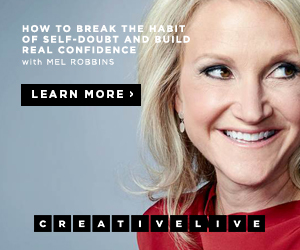 I highly recommend you have a look at this amazing course by Mel Robbins. You can also read my review post on how much I got out of this course and how I think it can benefit you. 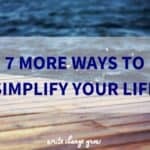 Look at your list as logically as possible. 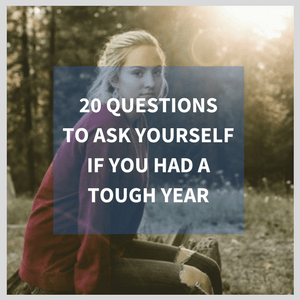 Okay so you’ve thought through your list logically and you feel you have good reason to feel guilty. If you have something that is eating away at you, it’s time to drill down further. Personally, I prefer journaling and writing everything down. 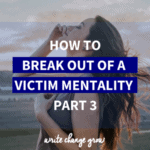 Write down everything you can think of about one particular guilt situation that is bugging you. The real value of this is getting it out of your head. The act of writing things down can provide clarity and direction. When you are feeling guilty, what you don’t want to do is let your vices take over. When we feel guilty we tend to drink too much, eat too much, shop too much, watch television too much (you get the picture). We try to escape from ourselves. I know avoidance seems like a good idea, but often the best way is not around but through. You go through the problem and come out the other side. You might have made a mistake at work and you feel guilty about it. We’ve all been there. Can your mistake be fixed? Can taking action fix your mistake or help with your problem? Often it’s a combination of all three. I think a lot of people tie feeling guilty to disappointing people. They feel people are disappointed in them so they feel guilty. I have a whole different take on this disappointment caper. Disappointing people is normal. It’s also perfectly okay. You don’t have to do anything wrong to disappoint someone, this can come purely from people having different values, beliefs, and opinions. Disappointing people doesn’t mean you have done something wrong. When I moved to Sydney to live I know I disappointed my parents but I certainly wasn’t doing anything wrong. I had every right to live where I wanted to. You might be thinking this is an odd addition to the list but it is extremely important. Say for instance you are feeling guilty about not seeing someone enough. The fact is your enough and someone else’s enough might not be the same thing, so you need to establish some healthy boundaries (and let the other person process their own disappointment because that’s their issue and not yours). The brutal truth is no matter how much you do for some people it will never be enough for them. This is why you need to establish some healthy boundaries. I mentioned feeling responsible for someone else earlier. You might feel guilty because someone your love did this or that or is acting a certain way and you want to help them but no matter what you do it doesn’t help. You are not responsible for other people. They are responsible for themselves. (Clearly, I am talking adults here, children are a different matter). Accept that people need to be responsible for themselves. I know that sounds easy written like that but I know that, in reality, it’s NOT easy. It can be extremely hard and heartbreaking. Of course, this one is huge. This is where a truckload of our guilt comes from. People (most often the ones we love) try to make us feel guilty. Welcome to the guilt trip. We often feel guilty because people send us on a guilt trip. People make us feel guilty because they want something. They want us to do something or act in a certain way so they try to guilt us into it. Guilt trips are manipulation – plan and simple. People often think they are using guilt is a form of love. Don’t kid yourself with this one. Manipulation is not based on love, it’s based on the other person getting what they want for their own benefit (regardless of how the person they are manipulating feels). Definitely not a loving move. The thing about guilt trips is they only work if we let them. You might need to take it in baby steps but work on not allowing people to guilt trip you into things. Saying no politely (without explaining yourself) is a great way to start. I was going to incorporate this into one of the other points but realized it can be such a big thing for some people that it warrants it’s own section. A lot of people feel guilty because Mum, Dad or substitute whoever else is relevant here, want them to live a certain way and do certain things. In a nutshell, they want you to base your life around them and not yourself. You should not feel guilty for living your own life. You only get one and it is yours to live. I’m not talking about going out of your way to purposely hurt people here, that’s never a good idea, but I am talking about living your own life your own way. This isn’t something you should feel guilty for. One thing that amazes me about family is how we can totally dislike someone but they can still make us feel guilty. Sometimes I can’t help but wonder – why do we care in the first place? I think for a lot of people it’s the ‘family’ thing. They think they have to love every member of their family specifically because they are family. I could not agree less with this concept, I have to say. If you don’t like and respect a particular member of your family, don’t let them dump guilt on you. This doesn’t mean you get to be horrible to them either because that is disrespecting who you are. Be polite if required but don’t let them dump guilt on you. People try to manipulate us with guilt but what about when we do this to ourselves? Sometimes we do this without realizing, so being aware of your behavior is important here. We may think that we can use guilt to motivate ourselves. This might work to a point but there are much better ways to motivate yourself. Guilt and shame often go hand in hand, so be on the lookout for trying to shame yourself. It’s time to cut yourself some slack. Life can get hard and you are doing the best you can. You might be surprised how much of your guilt is actually you being ridiculously hard on yourself. Again this is about setting boundaries (except these ones are with yourself instead of other people). Set realistic deadlines for the actions you want to achieve. By setting the bar too high you could be causing yourself to feel guilt instead of excitement and a sense of achievement. Often our guilt is about letting ourselves down. This is where you need to take the focus off your guilt and focus on ramping up your self-discipline. The way you do that is by developing routines and habits that foster better self-discipline and personal growth. When you improve your self-discipline and start doing the things you want to do, your confidence and sense of self-worth will increase. 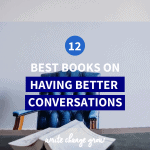 I recently wrote a post on the 10 Best Books on Habits – Learn how to break old habits and create new ones. Your habits are where you can really turn things around in your life. You might feel guilty because you think you are letting people down. This guilt could be caused by thinking you aren’t good enough. It might be you aren’t doing enough, or you aren’t being compassionate or patient enough. 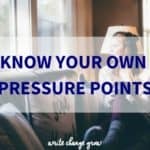 It all comes down to the same thing – you feel you are not enough, no matter what you do. 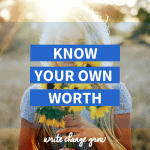 This is where you need to work on your self-worth. You are enough, you just have to believe that you are. 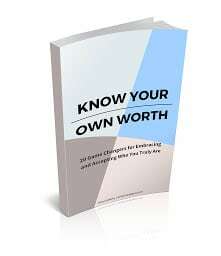 Once you increase your sense of self-worth and confidence you will probably find that you guilt decreases significantly. Udemy has a couple of great online courses that can help build confidence. 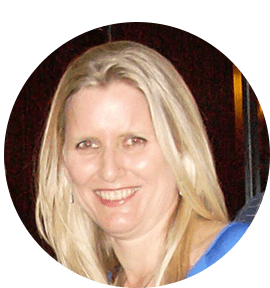 Have a look at the Double Your Confidence and Self-Esteem Complete Blueprint and The Fear 2.0 Core Confidence Conditioning to see which curriculum works best for you. Have you noticed when you start worrying, you end up worrying more? 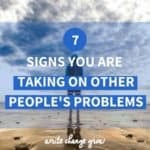 If you let yourself slip into worry mode, you’ll get bogged down in it and feel worse. As humans, we are brilliant at finding things to freak out about and worry over (okay this human is at least). Guilt can be the same. It’s like a rapid downward spiral. If you let your mind start wondering down the guilt path, it will start picking up trash along the way. It will keep looking and finding more guilt. If it can’t find any it will make some up! (Just like worry does). Before you know it you will be feeling guilty for feeling guilty! You need to nip this in the bud. You need to stop your thoughts just wandering around aimlessly. This is about being mindful and being in the moment. Meditation can definitely help in this area. CreativeLive have an excellent online course – Meditation For Everyday Living that can help. If you feel guilty that you haven’t done the washing for a week there is a quick way to fix that. Or at least do a couple of loads of washing. Make a start on what is making you feel guilty, even if you know you won’t be able to get it finished. But here is the kicker. Once you have done the washing you need to stop feeling guilty about it. This isn’t about just moving onto the next thing you feel guilty about either. You actually have to let the guilt go. That to-do list in your head never ends folks, so ditch the guilt and work through it at a pace that works for you and your life. While you are at it, it might help to prioritize your guilt. Remember that list we wrote right at the beginning, once you have culled it and have the real list, prioritize what’s on your list. Focus on what is important first. If you feel guilty that you are not spending enough time with your kids, forget that pile of washing and do what is important – spend time with your kids. 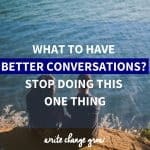 Related post – Are You All Talk and No Action and How to Turn that Around? 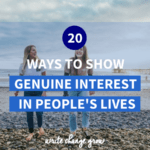 The friend that I mentioned at the beginning of the post is an INFJ personality type. The INFP personality type is more prone to feeling guilty. 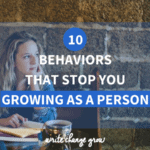 Just to be clear here, I don’t believe that if you are a certain personality type you get a pass on your personal growth or get to use it as an excuse for bad behavior. 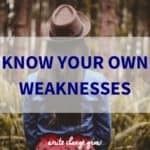 The other thing you don’t want to do is label yourself through your personality type because labeling yourself and believing you are only capable of certain things puts limits on your life. Every personality type has their strengths and weaknesses and it is up to each of us to work with both. Your personality type can be a helpful guide so if you struggle with guilt, your personality type might shed some insight into ways to move forward. I know that sounded a bit harsh but hear me out. Sometimes we get a little too wrapped up in our own world to realize that we aren’t on everyone’s minds all the time. We stress out that we are letting everyone down and that we have upset them. More than likely they aren’t sitting around thinking how you did something wrong, right or otherwise. It’s much more likely people are thinking about their own stuff and their own lives. While I realize your life may involve some serious responsibilities (like taking care of children and elderly parents for example), if you think everything revolves around you and you are responsible for everything, it will put extra pressure on the guilt situation. This one is hard. It’s also essential. This one is particularly difficult when death is involved. Unfortunately, I know this from first-hand experience. My Dad passed away years ago in a nursing home. He passed away by himself because I was sick the morning we were supposed to visit. If I hadn’t been sick, he would have died with his family by his side but instead, he died alone. I carried that guilt for a long time. I went through all the logical reasons as well as the emotional ones for why we decided not to visit him earlier on the day that he died. No version of any story I could tell myself made me feel any better. Going over it a million times in my head didn’t change anything. It didn’t make me feel any better. It just ate me up inside. Over time, once the grieving had settled a bit and my life returned to a more normal routine (I’d returned from overseas before Dad was diagnosed and my life was in chaos before he got sick, so I wasn’t in a good place to start with) I started to process my feelings of guilt. Eventually, I made peace with my guilt. I accepted it and in many ways released it. I still think of it occasionally when I think of my Dad, but it’s not a toxic feeling anymore. Thankfully it’s also a thought that passes quickly nowadays. There is going to be guilt that you can do nothing about. Nothing BUT make peace with it. Call a truce with yourself – make peace with your guilt. Just a reminder that I am not a trained professional and these are just my personal opinions based on my own experience. If you are struggling with guilt and it’s starting to impact your life or causing depression, please invest in yourself and your future and get some professional help to work through it. If money is an issue, get onto Google and see if there are any free services available in your area. 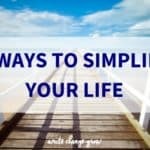 I hope this post helps to put you on the path to less guilt in your life. Set yourself free from your guilt cage and start living the life you want and deserve.